William Wellman was one of the most versatile directors of his day, making everything from comedies and musicals to gritty dramas and war movies, and his World War I epic Wings (1927) won the first Academy Award for Best Film, but in the late 1920s and 1930s he directed some of the most interesting films about struggles before and during the depression. 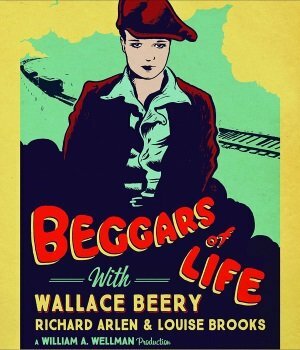 Beggars of Life(1928) was made before the stock market crash but released in the aftermath, so while it’s not technically a response to the Depression, its portrait of hoboes riding the rails and forming a kind of outsider society was in tune with the times. Today, however, it is best known for Louise Brooks, the petit dancer turned actress who never became a star in America in her lifetime but starred in two great German silent films, Pandora’s Box and Diary of a Lost Girl, and became a cult figure in retirement. 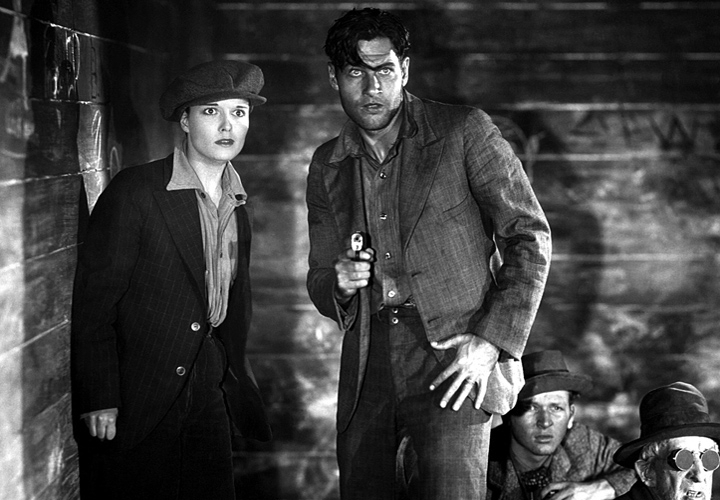 Brooks is Nancy, a young woman who kills her violent stepfather in self-defense (presented as a flashback, it’s a startling and powerful scene which Brooks underplays with haunting pain), and Richard Arlen is Jim, a boyish beggar who stumbles across the body and helps her escape. He dresses her in men’s clothes and teachers her how to ride the rails with the rest of the tramps on the road, landing in a rough hobo camp where Oklahoma Red (Wallace Beery) rules through intimidation. Figuring out that this delicate “boy” is actually a girl (and seriously, who was she fooling? ), he claims Nancy as his property and puts the couple through a kangaroo court, a great scene that straddles comedy and horror. Beery delivers a big, blustery performance as he transforms from predator to protector, the handsome Arlen at times he reminded me of a young Paul Newman, and Brooks is incandescent in her best role in an American films (she immediately left for Europe to make the movies that made her reputation). The Big House, directed by George Hill from a script by the great Frances Marion, is the original men-in-prison drama. Which is not to say it’s the first so much as it is the blueprint for the genre. 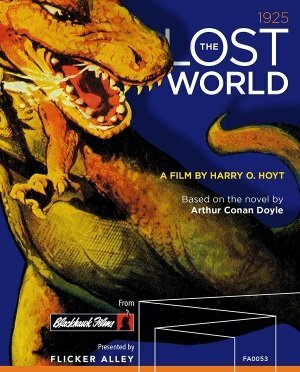 Produced in 1930 by MGM, the film gives us social commentary and underworld violence in equal measure. The first shots of The Big House present the prison as a massive, intimidating, almost medieval-looking compound and usher us inside along with the new guy getting processed: Kent (Robert Montgomery), an affluent kid convicted of a hit-and-run who goes through the system with a dazed look and a shuffling manner. Montgomery has never had the screen strength or presence of other actors in his early performances but it works perfectly for the spoiled, weak-willed Kent. 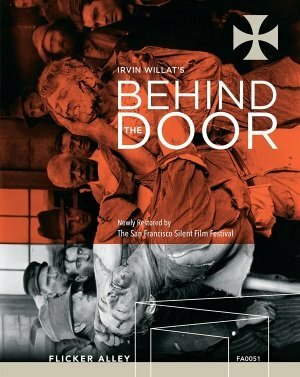 He’s completely unprepared for prison and his ordeal is compounded when he’s assigned to a cell with bank robber Morgan (Chester Morris), our leading man and a kind of underworld aristocracy thanks to his reputation as a criminal mastermind, and prison-yard bully Butch (Wallace Beery), who isn’t too bright but defers to Morgan.